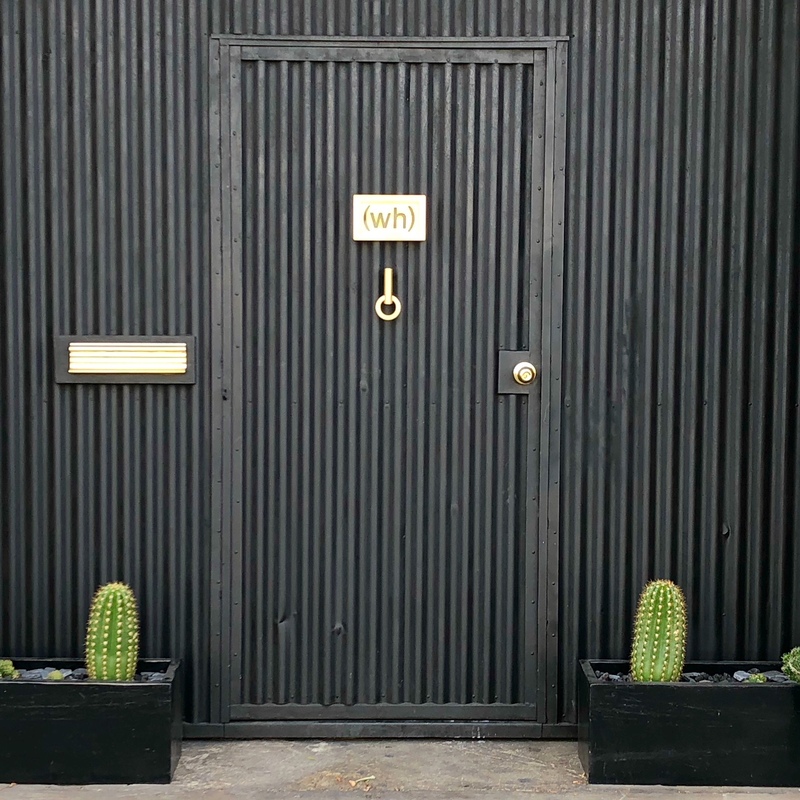 A few weeks back I was in LA as a #sponsored designer for Dwell on Design. I was immersed in everything design for three glorious days. First the Dwell on Design trade show, then a day of LA house tours and finally, inspiration galore along the LA Design Trail. 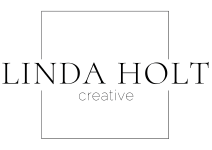 Before I was invited to Dwell on Design I had heard a lot of good buzz about the LA design scene. In Boston, good stand alone design stores are scattered all over the city and beyond. In LA though the design shops are more or less concentrated in one area of the city. Spending a day cruising from shop to shop was a dream for a design geek like me. In no particular order these are a few of my favorite shops and places you don’t want to miss if you are a design lover shopping in LA. With a name like (WH)ore haus I assumed it would be a cool place to check out. It did not disappoint. A vibrant art studio run by woman with plenty of space to both create and live. We were lucky enough to meet a couple of the artists. 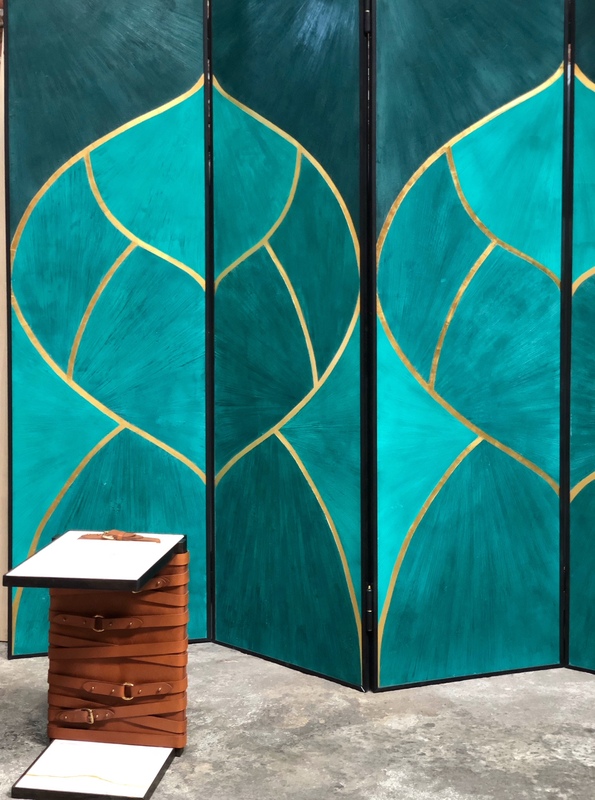 This woman below creates custom wall surfaces for large commercial installations as well as smaller residential jobs. 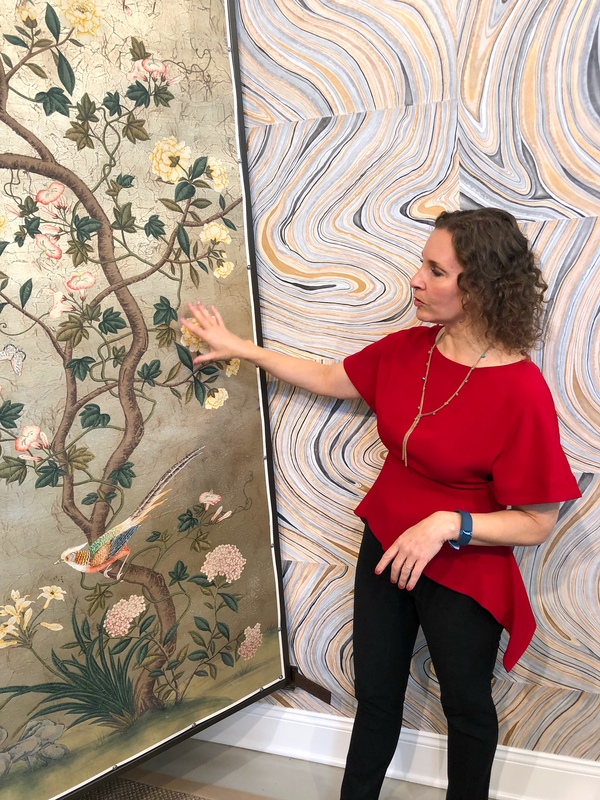 Here she is holding one of her new samples for a feature wall. I love this screen she created for the studio. 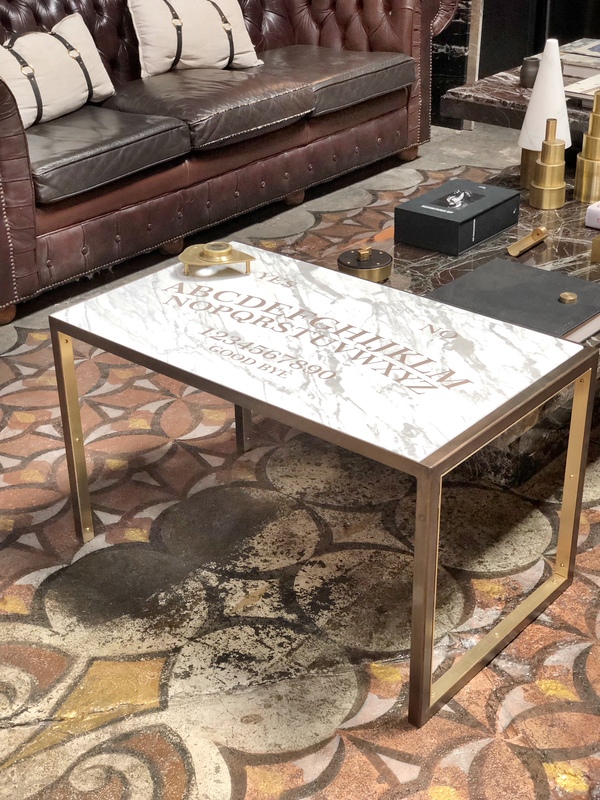 The metal smith creates furniture with mixed materials such as brass and marble like this custom ouija board coffee table. 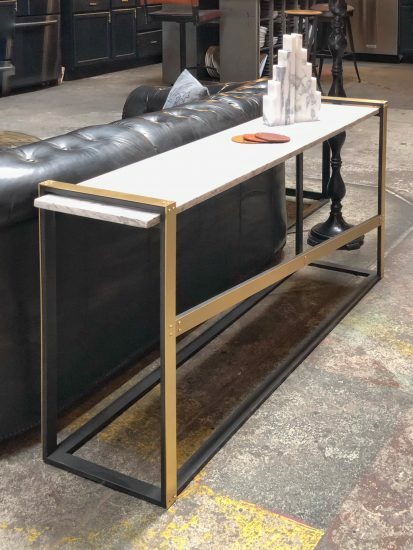 This brass and marble console table was gorgeous! Neptune Glass Works is almost across the street from (WH)ore haus. 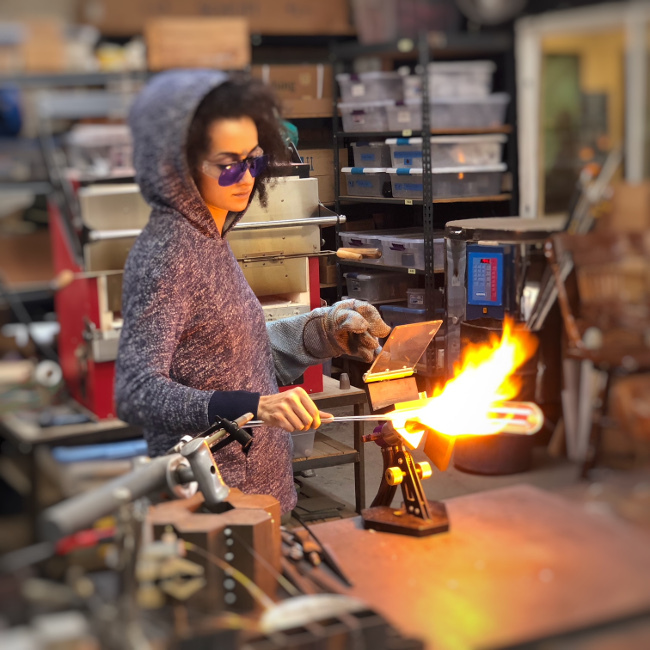 We arrived just as the glass blower started working. 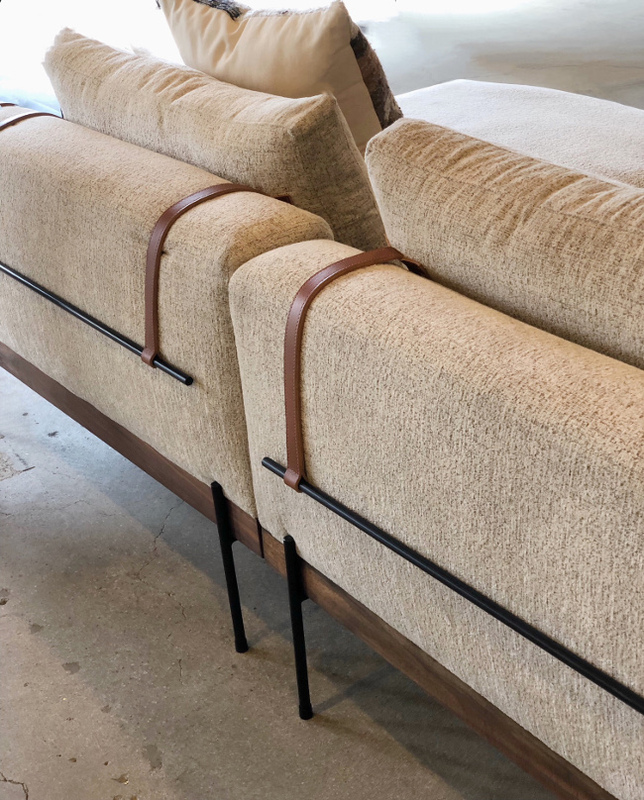 There is something so special about seeing a product made by hand and hearing the story behind the design. 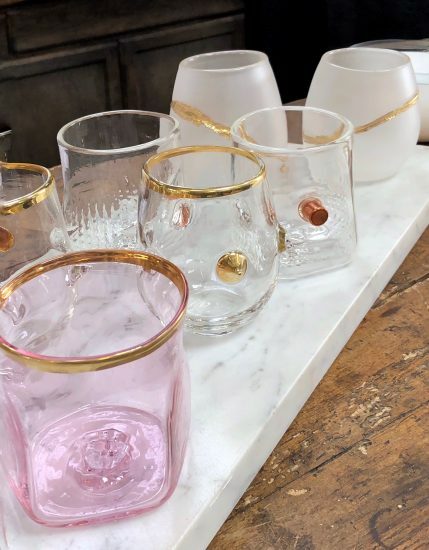 Visiting this studio makes me want to throw away every glass we own and buy a set of these beauties. 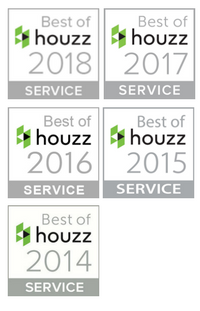 Each one is a work of art. 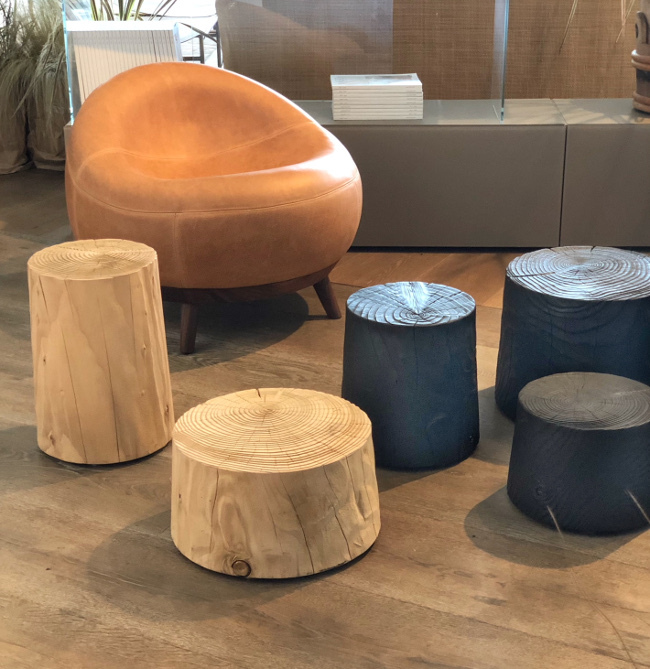 If you like organic materials and impeccable modern design Croft House is a store not to be missed. I especially like this sofa. The pillows have leather straps and metal rods attached to keep the pillows in place. It also makes for easy removal to turn the sofa into a day bed for when guests arrive. 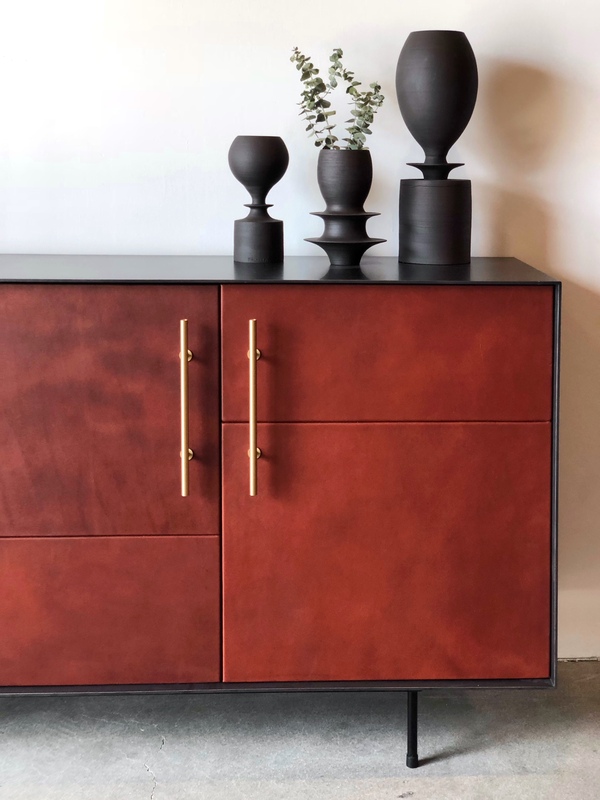 Just like the name says, Bend is an LA store that sells simple functional furniture made form bent wire. 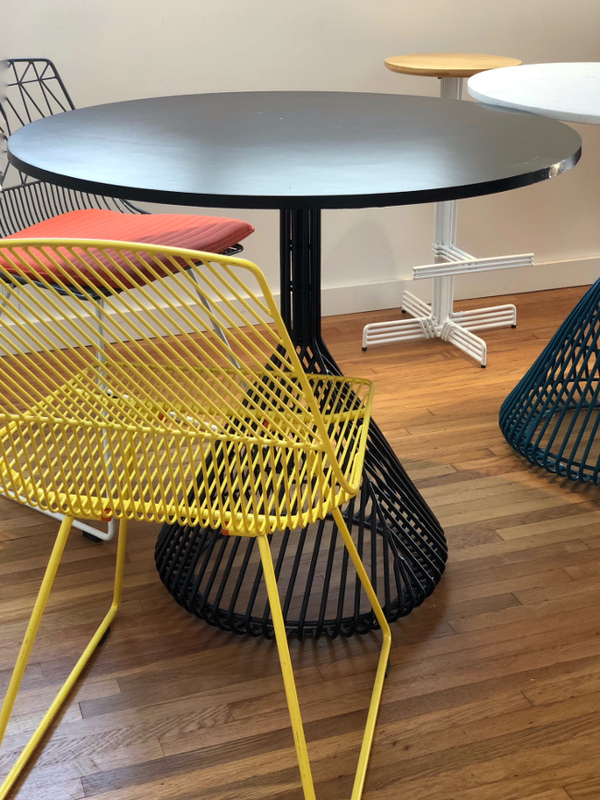 “Bend is on a mission to create designs that are superbly crafted, delight you aesthetically, and shape your life”. 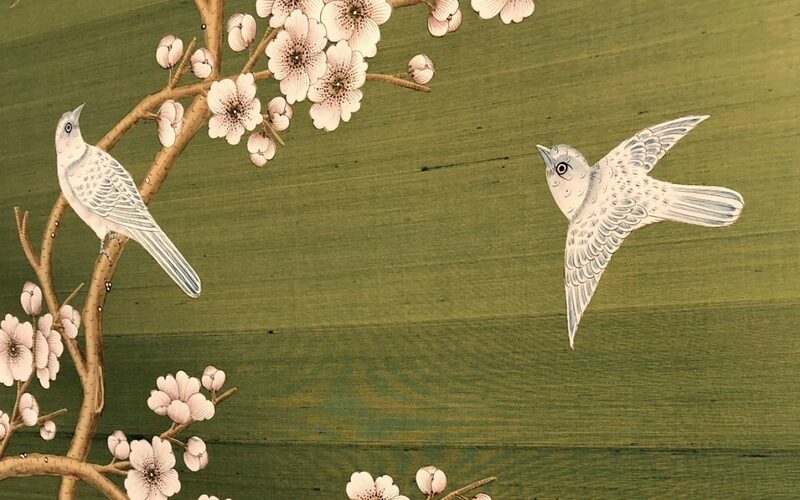 If you have not heard of Gracie wallpaper I urge you to head to this store. 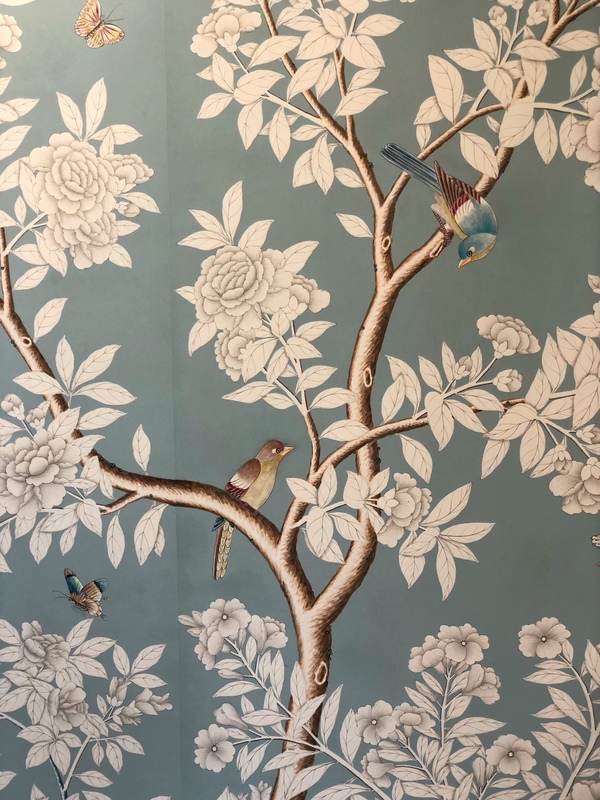 Gracie wallpaper was started in 1898. Below is store owner and fifth generation Jenn Gracie. She gave us a personal tour of the papers. 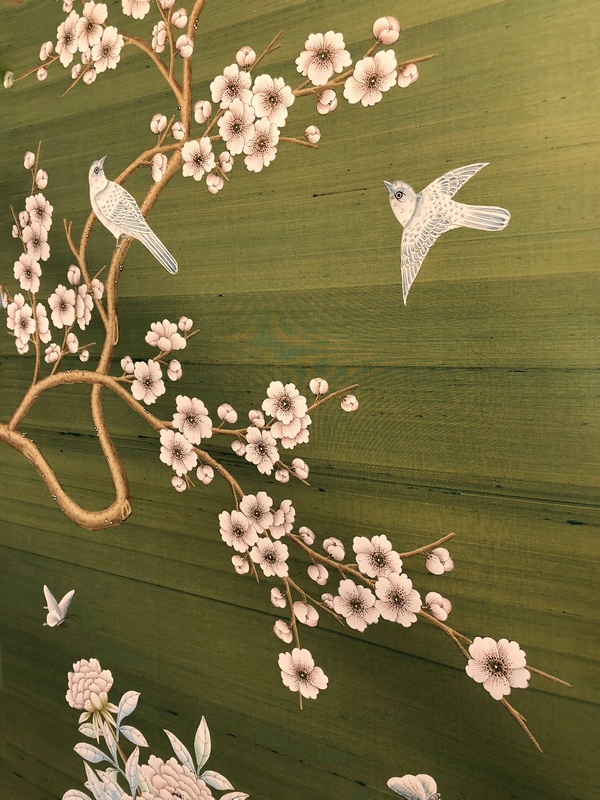 Each panel is hand painted and a masterful work of art. 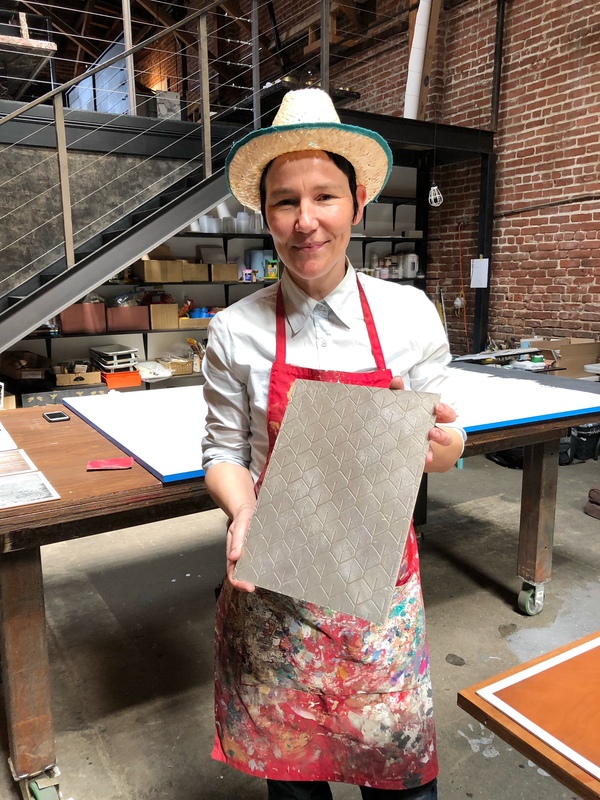 I could have stayed in their small LA shop all day just looking at the beautiful papers. I have not yet had a job where I could use this paper but I dream about it and one day I know I will. Their chinoiseries are classic but they have so many other options as well. Northerners collective is a distributor and retailer of the most exclusive European designed and manufactured furniture brands. Each piece in the LA store is thoughtfully curated and an heirloom quality piece. 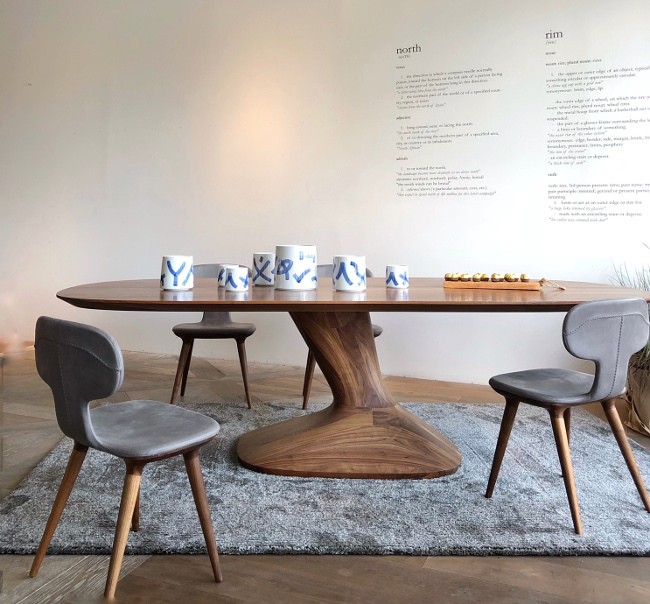 Karim Rashid designed this statement dining table crafted from a solid piece of walnut! 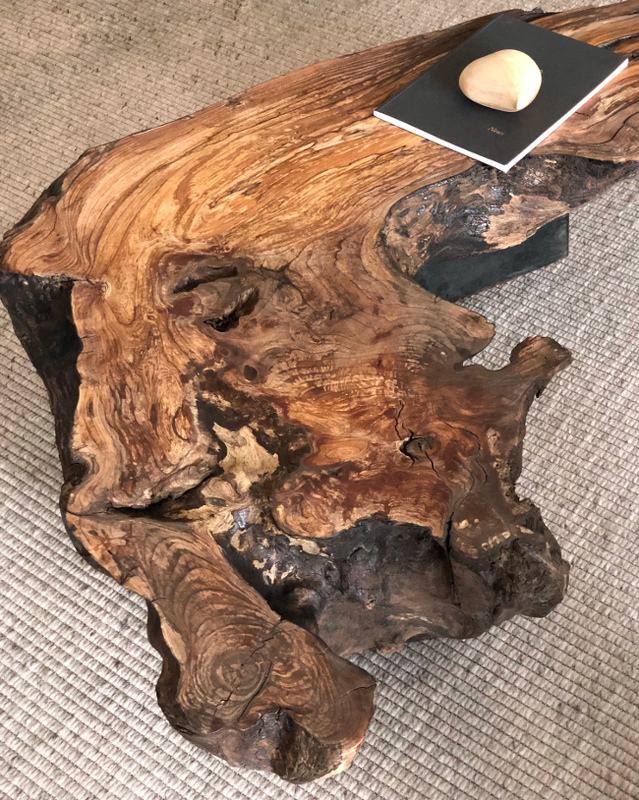 If you go to visit, be sure to ask the owner about this root coffee table that almost cost him his life. 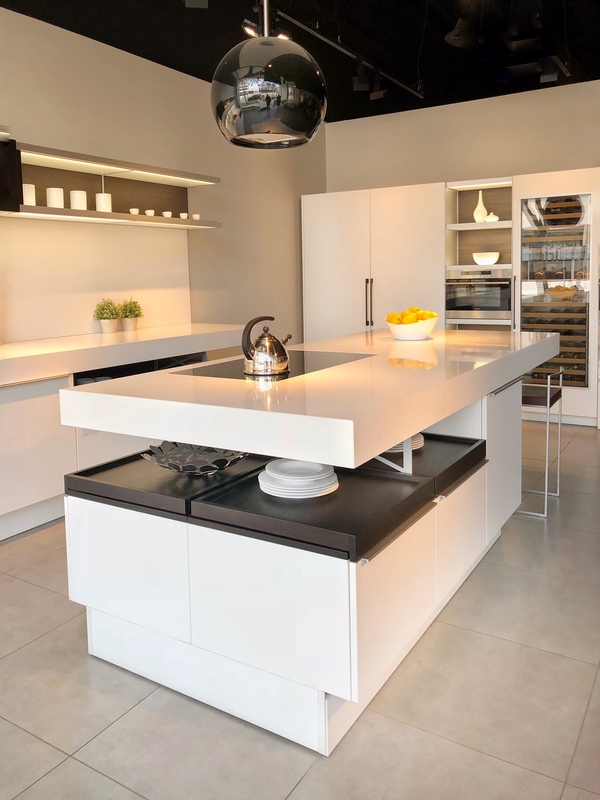 Okay, so Poggenpohl isn’t a funky little design store but if you like modern kitchen design with impeccable German engineering then this is a must visit store. I have a very special place in my heart for Poggenpohl and you can read about it here. Poggenpohl was kind enough to host breakfast for the DesignHounds before we headed out on the Dwell on Design LA Design trail. 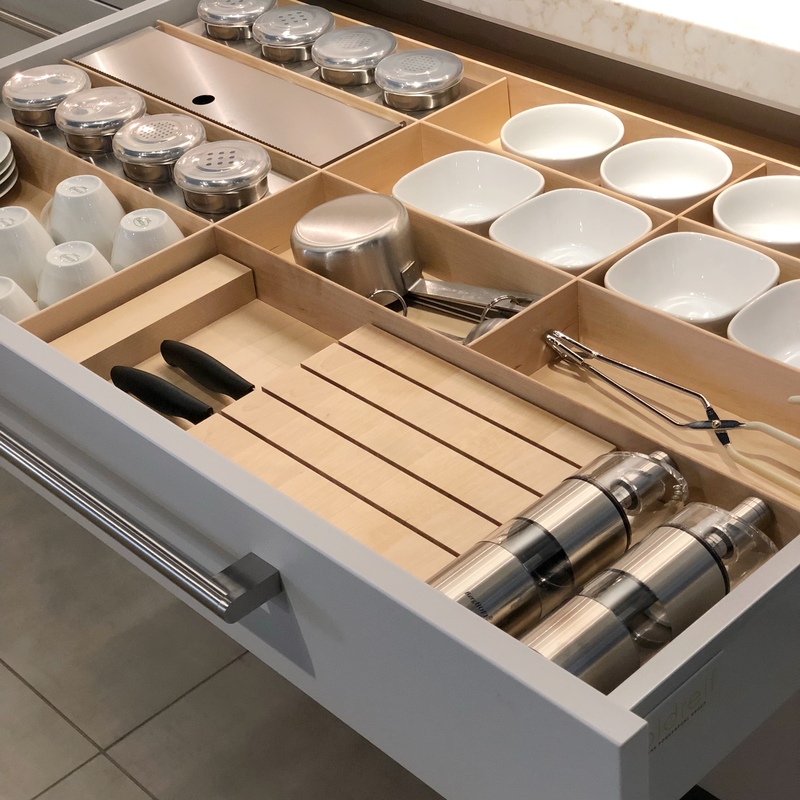 Can you imagine the luxury of having a drawer that looked like this? A place for everything and everything in it’s place. 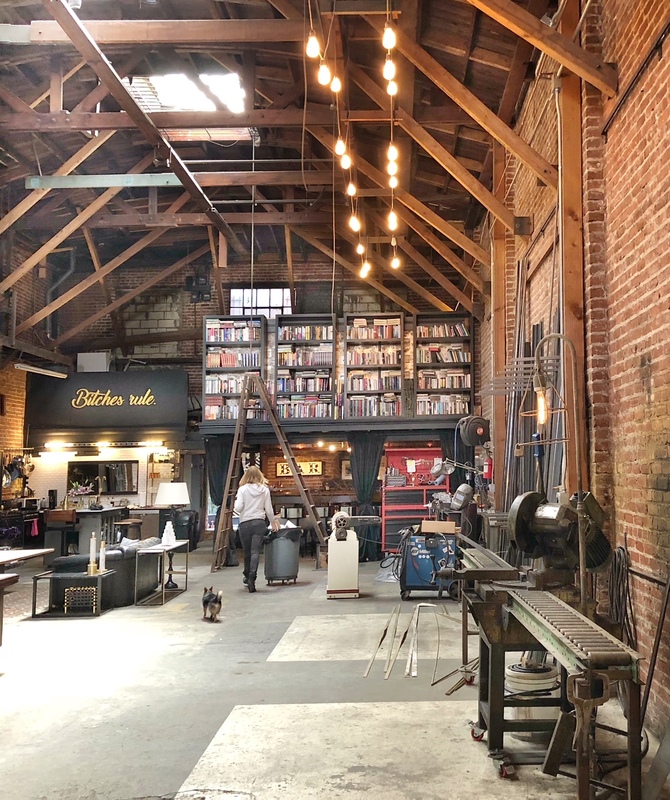 I hope you enjoyed my pictorial LA design Trail post and if you love design then be sure to pay a visit to these stores and studios. They love visitors! 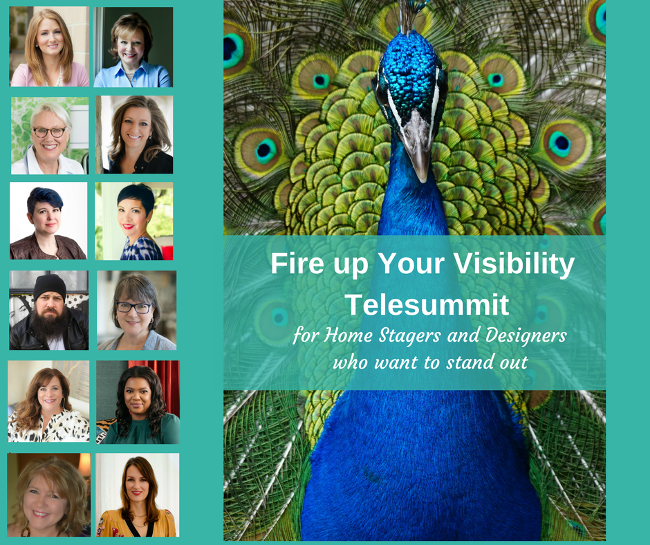 If you are a designer or design enthusiast I want to let you know about a telesummit I am a part of. 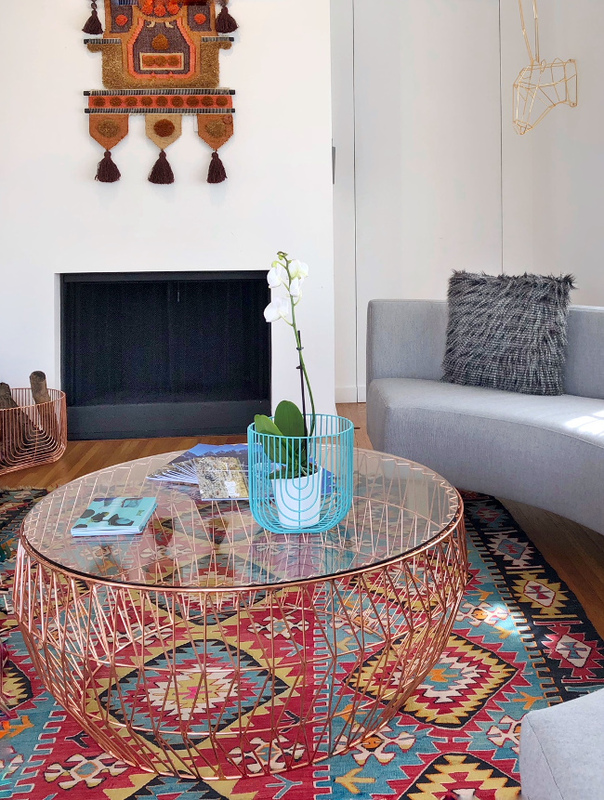 Hosted by friend and colleague Marianne Cherico, this telesummit includes twelve of the top experts in the design and home staging field as they share secrets on how they stand out and attract their ideal clients. 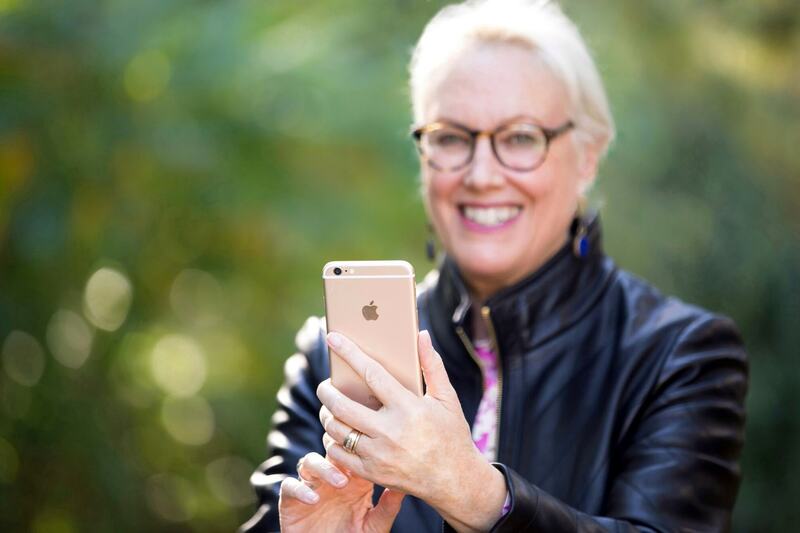 My topic is as you might guess is “How to get great phones with your cell phone”. For more info on this value packed telesummit, CLICK HERE. I’m so glad we got to tour those studios together. I’m still thinking about those glasses! So happy you shared what you and Carla saw when we split up. Great photos, as usual!! Thanks Claire, it was such a treat to visit those art studios.